This week, Stacy Blackman is sharing insights she’s discovered from the results of an MBA Application trends survey. Read on for more details on how other MBA applicants and business school hopefuls like you are tackling the admissions process. How many schools are applicants applying to? How important are MBA rankings? 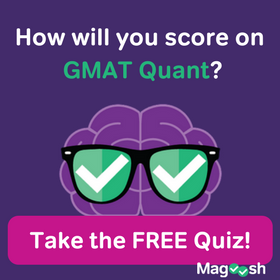 Should you consider submitting GRE scores rather than the GMAT? These are just a few of the questions we here at Stacy Blackman Consulting attempted to find out with our MBA application trends survey, conducted online in April. Poets & Quants picked up the story and shared the main data points with their readers. Based on the responses of 675 participants who intend to apply to business school in the 2014-2015 admissions cycle, the survey showed an uptick in the number of applicants planning to apply to five schools this year. More than 25% plan to do so, up from 22.9% who aimed for five schools in 2013. This increase reflects the growing awareness among applicants of the ultra-competitive nature of b-school admissions, but also, an understanding that there are more than just a handful of terrific schools out there. Just a few years ago, highly competitive applicants wouldn’t go for an MBA unless they could get into Harvard, Stanford or Wharton. Now, applicants are interested in applying to a range of schools. In fact, the list has become a lot longer and broader, with applicants adopting a more open attitude about where to study and adding schools such as UCLA Anderson, UT McCombs School of Business, and UNC Kenan-Flagler Business School into the mix, in addition to the power trio. MBA admissions have become increasingly competitive at the elite level, and applicants now realize that an MBA from a highly selective school offers all of the benefits and a similar return on investment as a degree from a very top brand. This year’s survey showed that once again, applicants place a lot of weight on the value of rankings, with almost 70% of respondents saying rankings are extremely important, and less than 1% saying they weren’t important. Meanwhile, the influence of school reputation on an applicant’s decision of where to attend dipped slightly, from 52.4% in 2013 to 50.87% this year. Applicants are starting to place greater attention to the strength of a school’s job placement program—21.87% this year, versus 18.8% in 2013. Career advancement remains the most important reason for attending business school for 43.7% of survey participants, followed by the desire to change careers, which motivates 38.17% of MBA hopefuls. Finally, our survey polled prospective students on their interest in submitting GRE scores with their b-school application. While the GMAT still reigns supreme as the exam of choice, GRE interest this year grew to 7.65%, up from 3.97% in 2013. 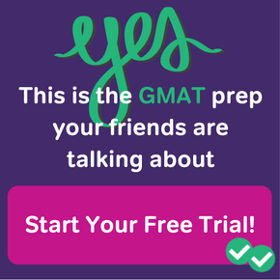 At this point I’m not pushing the GRE, and we typically tell clients that unless they have a hard time with the GMAT, or with testing in general, the GMAT is the better way to go. 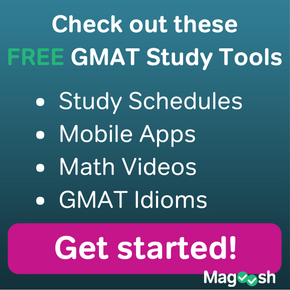 The schools are just more comfortable with the GMAT in general since it’s such a known entity. I believe people can always derive great value from going to business school, but many factors affect the kinds of programs that best meet their needs. Applicants need to find the very best fit for their own game plan.